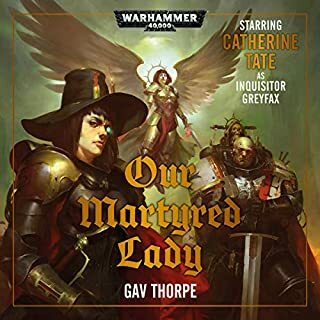 I very enjoyed this novel this audio book! 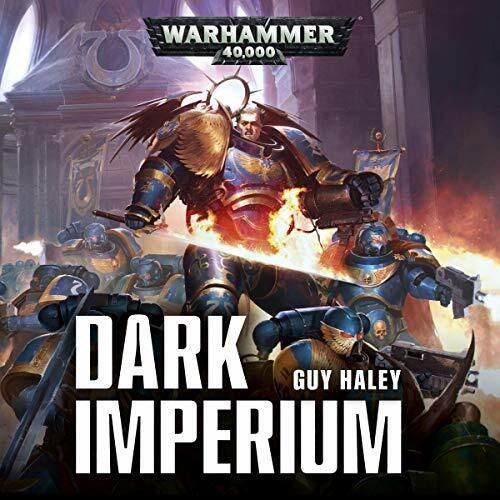 In the age of the Dark Imperium, Primarch Guilliman’s Primaris Ultramarines are a shining beacon in the darkness of war. 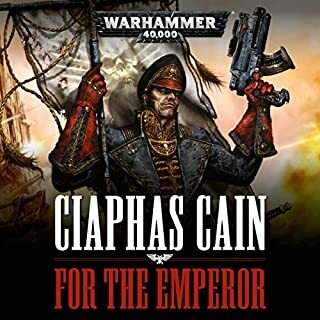 On the Imperial Hive World of Ikara IX, Chaplain Kastor and Apothecary Polixis, brothers in blood as well as in battle, stand firm against the endless Greenskin horde. But a threat is looming. 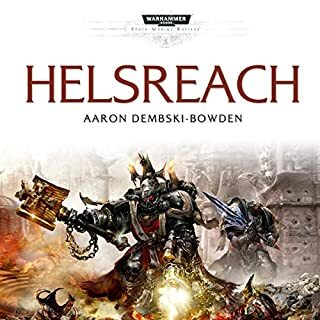 An invasion like no other assaults the broken city of Shebat, as the crazed warlord Urgork arrives to lay waste to the Imperial forces and capture a Primaris Marine for his own twisted ends. This story is about the bad guys... right? Ezekyle Abaddon and his warlords strive to bind the newborn Black Legion together under threat of destruction. 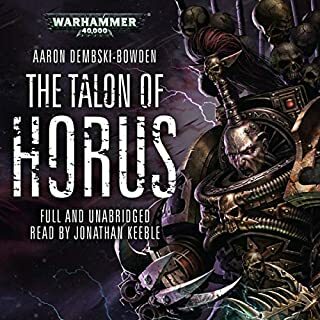 Now Khayon, as Abaddon's most-trusted assassin, is tasked with ending the threat of Thagus Daravek, the self-proclaimed Lord of Hosts - a rival to the Ezekyle's final fate. Fighting the vile whispers of the Dark Gods within his mind, Abaddon turns a fevered gaze back to the Imperium, where his destiny awaits. 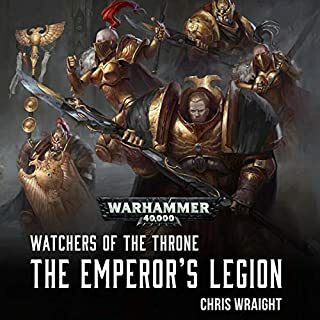 Yet the Emperor's Champion and his Black Templars stand guard at the gates of Hell, and Sigismund has waited centuries to face Abaddon in battle. perfect story with such great characters. 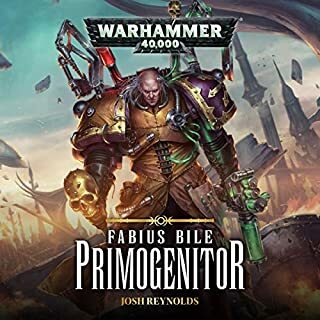 Inquisitor Gregor Eisenhorn has spent his life stalking the darkest and most dangerous limits of the Imperium in pursuit of heresy and Chaos. But how long can a man walk that path without succumbing to the lure of the Warp? 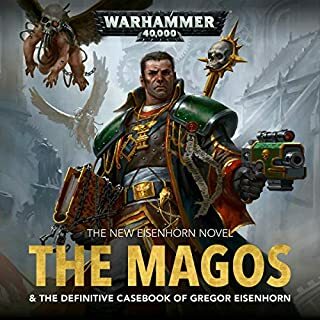 Is Eisenhorn still a champion of the Throne, or has he been seduced by the very evil that he hunts? While Horus' rebellion burns across the galaxy, a very different kind of war rages beneath the Imperial Palace. The 'Ten Thousand' Custodian Guard, along with the Sisters of Silence and the Mechanicum forces of Fabricator General Kane, fight to control the nexus points of the ancient eldar webway that lie closest to Terra, infested by daemonic entities after Magnus the Red's intrusion. 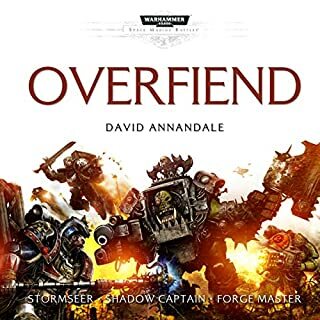 For many long years, the ork warlord known as the Overfiend of Octarius has bedevilled the Imperium, ruling his alien empire in the heart of the Emperor's realm. Now, at last, three Chapters of Space Marines come together to destroy the greenskin menace and restore Imperial rule. The Salamanders, White Scars and Raven Guard, together with their allies from the Astra Militarum and bolstered by the aid of the mercurial alien eldar, fall upon the worlds of Octarius system with chainsword and bolter, bringing death to the orks. Fell times have come to the galaxy. Cadia has fallen, destroyed by the onslaught of Chaos. A Great Rift in the warp has opened, and from its depths spew daemons and the horrors of Old Night. But all hope is not lost.... A hero, long absent, has returned, and with him comes the wrath of the Ultramarines reborn. Roboute Guilliman has arisen to lead the Imperium out of darkness on a crusade the likes of which has not been seen since the fabled days of the Emperor. But never before have the forces of Ruin amassed in such numbers, and nowhere is safe from despoliation. From the dreaded Scourge Stars come the hordes of the Plaguefather, Lord Nurgle, and their pustulent eye is fixed on Macragge. As the Indomitas Crusade draws to an end, Guilliman races to Ultramar and a confrontation with the Death Guard. story seemed to go nowhere & ended without any firm resolution. 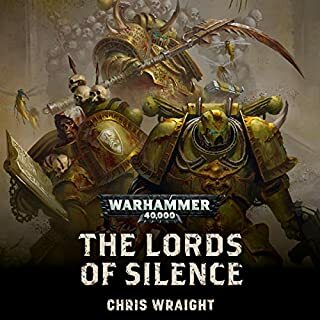 unfortunate for the first book on the new lore launch. First of all. Guy Haley is amazing. I highly recommend his other novels. 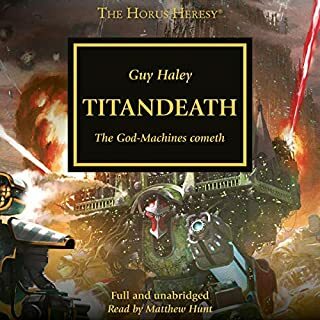 Anything under the Horus Heresy series is amazing. This novel in particular seems rushed and full of product placement for Games Workshops latest line of models. I hope Haley got paid a generous sum for taking this novel on. The plot developments in this book are jarring. "Warhammer 40,000" is a very old IP. Many of the old characters this novel brings into the spotlight are fan favorites and it feels as though they have been given cheap cameo placements as 'hype' or 'approval for the new setting. Just doesn't fit. Guy Haley has done what he could with a bad plot. Great book to listen on the go or while relaxing. 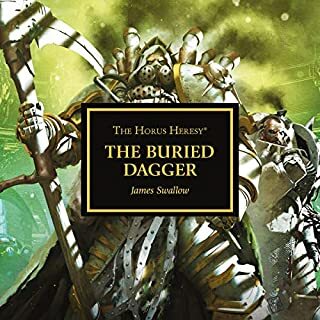 I do recommend for people new to Warhammer 40k as a door into it's sometimes confusing and convoluted but rich universe. narrator was great, everything about this audio was amazing. i recommend it to any1 who doesn't mind a little violence. 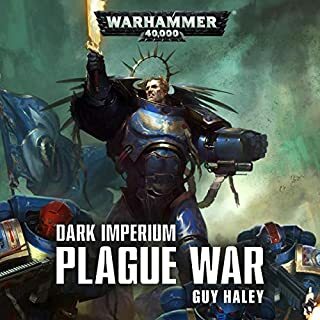 I found this book In the 40k universe to be boring and at best adiquitly narriated. It explains some stuff about 8th ed and primatis wich is nice, but it really ends out of nowhere. 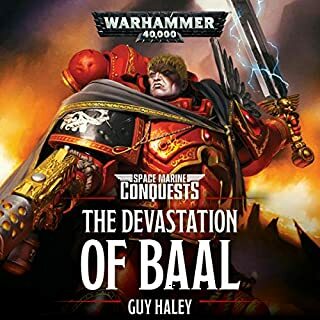 Hard to not love a story about the primarchs return if you are a fan and this was well done. I loved the pacing of the book and it's separate tales covering multiple facets of the books events. From the perspective of the primarch, his primaries marines, and lowly guardsmen. All show casing their ability to deal with hardships, and resistance against the ruinous powers. As well as the cause and effect of decisions made. Which is a undertone of the chaos power of nurgle. Which I find perfectly weaved into the story. The perspective of the ruinous power both daemon, and more was great. Giving great insight as well as teasing a bigger story. I approve though I wish more was told perhaps in another book it is covered. The visuals described were beautiful, and grotesque. No lack of detail for environment, or emotion. I felt fully immersed. The narrators voice, and pitch for perfectly superb. Reilly this book deserves a 5 star rating well worth the price. Will likely attempt a hard cover purchase of available! one of thee best books I have listen to. The story and narration is phenomenal and I would honestly listen to this book again! 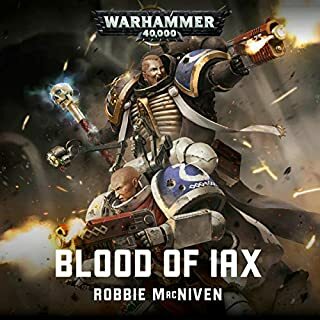 Less Grimdark than your average 40k adventure. 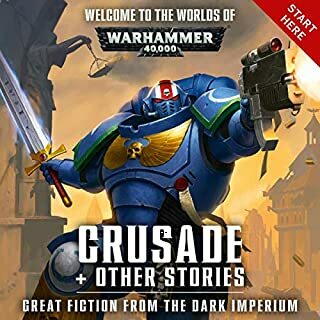 A few story threads aren't resolved satisfactorily, but otherwise one of the best 40k novels and an excellent tale of Rowboat Girlyman. excellent, but few minor... mehs. a great 40k story that helps setup the new way of things, but suffers from inconsistencies of old fluff in place. also tries to do diplomatic scenes and action, but both sort of drag away from each other making them brief and giving them little time to truely shine and stand out. 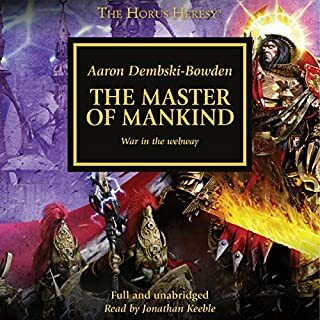 still a good solid read and totally suggest it if your a fan of warhammer 40000! Awesome power of the Imperium. I loved it, like the emperor loves mankind. Great pacing throughout the book. 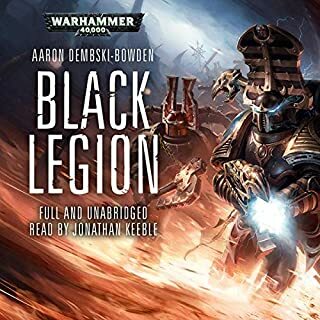 Exciting moments and some filler into the grimdark. Enjoy! 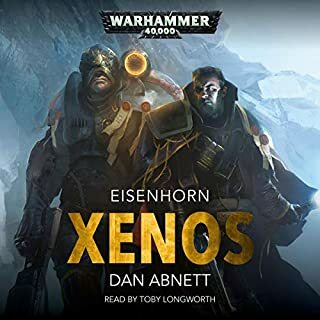 This was my first audiobook ever downloaded, and I’m very much impressed with the voice acting performance!